Kids are special and most important parts of our lives and whatever we do wherever we go we need to cater to the demand of our kids. Similarly when we go to some party, organize such parties or festivals we need to cater to the demands of our kids. So what does a kid demands in a party like place? Most of us remain busy meeting our friends, colleagues and relatives thus giving no time or less time to them. In order to keep them busy we need to have some arrangements where our kids find themselves busy and do not disturb us for a while. What can be the best thing that we can have to keep our kids busy? The best answer is to organize an entertainment source for them amidst the party. One of such entertaining methods that will keep the kids busy is setting up a bounce house in those parties. Bounce house is one of the most demanded entertainment source for the kids. If one is interested in starting a business that rents such bounce houses for kids for parties and other such social events then below is brief business plan regarding this. Bounce house rental is very profitable business opportunity for those who are looking to start one time investment business from home. Starting any kind of business let alone a bounce house rental business requires a plan that should be executed well for success. The first step in this bounce house rental business is planning. You need to draw an outlook for your business that should fit well given the situation you have. The first such step in this is to access your potential market. Your business should be target specific and your target should be a place that has people with kids. Parties that have gatherings and a good number kids. What can be such place? A birthday party organized by middle class men, rich men and people with stable economic background that can afford to have bounce house in their social parties for kids. Register your business with the business authority responsible in your location. Get a license regarding your business and its type. Also you may need some permissions for safety of kids and house safe your bounce house is for kids. It is obvious that you don’t need a house bounce in corporate office so where do we need them? The simple answer is in housing society area, school for kids, nursery schools, play school, birthday parties for kids, social events, fetes, etc. As you target your market you need to build up a network for your business. 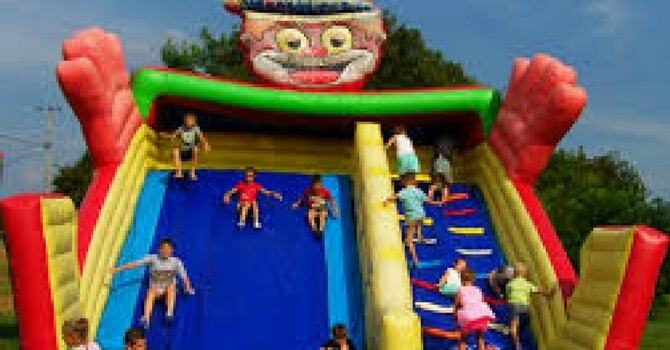 In many cases the client do not ask separately for bounce houses but it comes in a package while organizing a party with the event manager. Thus you need to build a network with such event organizers or those who deal with social events. You must also have your separate target on clients directly through various methods of marketing. You need to buy bounce house for your business. Before you buy one such bounce house you need to know a bit about bounce house and its types. Bounce houses are made from different materials for example PVC. You need to decide the quality of your bounce house given the place where it will be installed, the average weight and age of kids, the surrounding of the installation. Here are few conditions you need to fulfill before you buy one such bounce house. The average age of kids: It is important to know about the average age of kids and bounce house come based on age and weight. If the kids in average age between 10-14 then the size of bounce must be big and the material must be strong. If the age is small then the size and durability of material will change. The Area or Place of Installation: If the space where you will be installing the bounce house is small then you need to have a small bounce house. Similarly if the space is big then you can have bigger bounce house. Based on kids number: If the number of kids are more then you may not only need a bigger bounce house but you may need more than one thus this factor is also important. Lastly, your budget also plays an important role when you go for purchase. If you can buy more than one then you should or you can wait for the demand. But for the successful business you should have different types to cater to the requirement. There are various types of bounce houses. Some of them are mentioned below. Indoor Bounce House: These bounce houses can be installed within a closed space or in your house. Their size is relatively small and is meant for your kid and not for many. Standard Bounce House: A Standard bounce house can be seen in any social event, wedding, parties, etc. They are of big size and are durable. They can accommodate kids of different age, weight, and size. At a time many kids can play within it. Water Bounce House: These are used in Water Park or pool of water for kids. They are inflatable which means that one can fill and remove air from them. They are made especially for water use and thus are resistant to water and they have special securities for kids. You will also need some other supporting equipment in your bounce house. One such important equipment is air filling machine. It is literally not possible to transport a bounce house filled with air. Thus after transporting it to the destination air if filled inside it. For this you need an air filling machine that is connected to power for constant air supply. Apart from this, you may also need other equipment that will be briefed to you while purchasing bounce house. You need a place to store your bounce house. The place should be secure enough to avoid any kind of damage to the product. It should also be big enough to accommodate the bounce house properly. The place should be clean, spacious, and free from any kind of insects that can hard the bounce house, moisture free, a cool place to avoid heating which may damage product. You need to maintain the product in the best possible way to ensure its durability. For this you need to have a person in charge who knows all the necessary information regarding maintenance of your bounce house. He should also be aware of ways to fix the bounce house in case of emergency. Servicing is one such important aspect and for this you need some manpower who keeps your equipment well-maintained. Hire someone who is expert in dealing with bounce house and one who handles it well during transportation, installation, servicing and storage. Since your bounce house would be traveling from one place to another therefore you need to have your vehicle like a tractor equipped with trolley, a mini truck or other such transporting vehicle that can fit the inflated bounce house of all size and types well. It would be best that you own up your own vehicle instead of renting as the requirement is on daily basis and owning one vehicle can be used for different purpose. Marketing Directly to Customers: Here you directly market to the client regarding your business. This can be well executed using your company name, a logo, online presence and word of mouth from your customers. Networking with Event Organizers and others dealing with the Business: In most cases people don’t hire bounce house separately but it comes in a package managed by the event organizer. Thus you need to network with such groups or individuals who manage events, organize parties, who own Water Parks, organize fete, and other such events. This is a onetime investment where you need to invest once on the bounce house, transport and equipment. The business has no expense apart from transport, maintenance and servicing through service men which can be done only by one or two men. The return is promising as with onetime investment you can have returns for years. Even if you get business for 200 days in a year then you can still earn a good return. Since the demand of such methods of play are on rise you will not have much trouble getting your customers. Lastly, a well-planned strategy for your business is bound to work given your persistent efforts and hard work you put in the business.